On Windows 8, you will have to make quite a bit of effort to make your computer skip the Start Screen and boot right to the Desktop. But now on version 8.1, you can easily do so with a simple setting change. 1. Switch to Desktop, if you haven’t. 2. 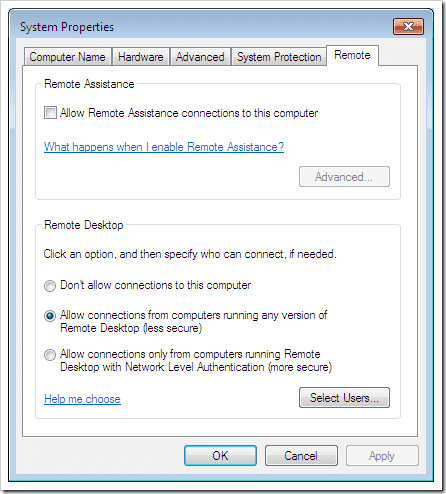 Right-click Taskbar, and choose Properties. 3. 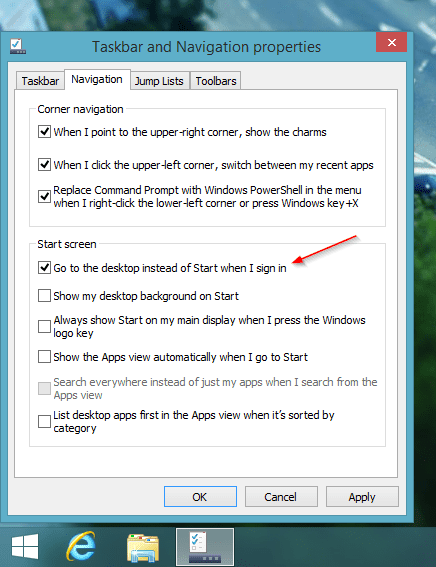 On Taskbar and Navigation Properties window, go to Navigation tab, and check the option called “Go to desktop instead of Start when I sign on” (Figure 1). 4. Click OK, and you are done. Thanks you for pointing it out. It’s been updated.